I’d love to tell you everything you need to know about the home you’re buying (or selling). Hiring a home inspection service is about trust. You want to feel the home inspector is truly working in your best interests and has the experience to uncover any issues residing deep within a house. With a long background in construction and remodeling, I’m ready, willing, and very able to provide you with a detailed, professional, and honest home inspection that does not cut any corners. I’ll be blunt – I’m NOT the guy someone calls when they want an “inspection” that doesn’t look too closely. I AM the guy buyers call when they want an uncompromising home inspection. People deserve to know the real story hidden behind a home’s walls, and I give them the truth, regardless of how it affects a sale. It’s the only way I work. 15+ Years of Construction and Remodeling Experience – I’m well versed with the systems of a home, and am uncompromising in a “it needs to be right” sense. 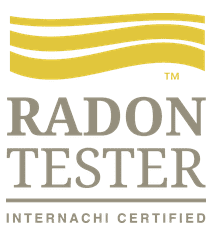 Radon Testing Experience – Certified in Radon Testing, which should speak to our experience and skill level. You need not utilize a second company for this – we can handle it all. Advanced Online Reporting – We utilize Spectora advanced home inspection software. This allows my clients the ability to view, customize, and print/e-mail their home inspection reports online. The powerful features even include filtering and “repair request” tools, making it very convenient. This is included free of charge with our home inspection services (view a sample report here). 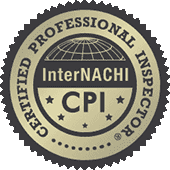 Impeccable Credentials – We have several seals on the right, but here are the details: I’m a Virginia licensed Home Inspector (#3380001396); a member of InterNACHI (member ID NACHI18081330) both as a Certified Home Inspector and Certified Radon Tester. 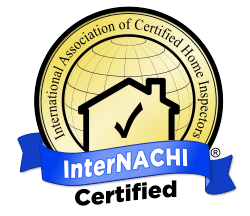 I am also a member of the Virginia Association of Real Estate Inspectors, and an Inspection Certification Associates graduate. 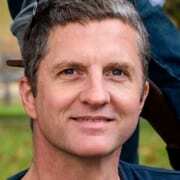 Value – Our pricing is very competitive and becomes an extraordinary value when taking the above into account. A Wide Reach – We service Northern Virginia. Home inspections are performed in and around Gainesville, Nokesville, Haymarket, Bristow, Nokesville, Warrenton, Culpeper, Bealeton, Manassas, Centreville, Chantilly, Burke, Springfield, Lorton, Herndon, Reston, Fairfax, Dulles, South Riding, Leesburg, Berryville, Sterling, Marshall, Front Royal, Clifton, and Woodbridge. If you are you ready to schedule a home inspection Click here! or contact KEY Inspector, LLC Here.